is of utmost importance to us. By leaving a review, you will help us improve our service and help others learn about our business. "If you have a car, truck, or any services needed, this is the place you need to take it to. They are the best trusted car business I will take my car to!" 5 star review from Joe C.
antenna we will get you back on the road. Click here to see what our customers are saying. 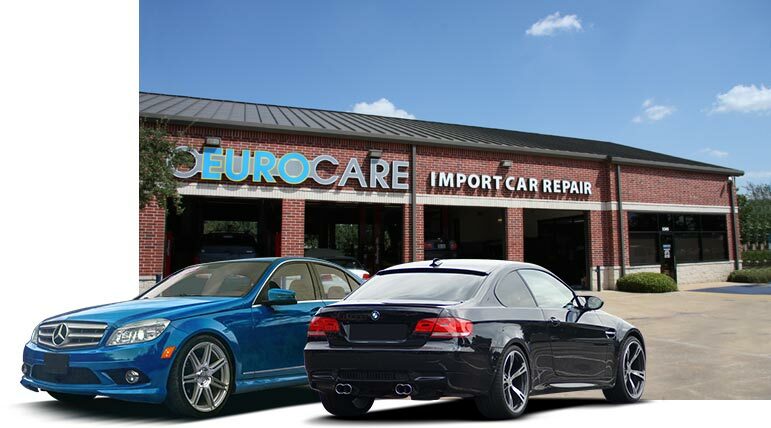 If you are looking for a full-service Import Car Repair company, look no farther than EUROCARE. We use only the best equipment in the industry, and pair it with an experience and knowledgeable staff. We are not satisfied with simply providing great import car care, we also go above and beyond in the area of customer service. Where other shops may seem cold and unfriendly, you will always be welcomed in at EUROCARE. For the best in workmanship as well as customer service, EUROCARE is the easy choice in import car repair and Missouri City auto repair. We aim to provide the highest level in both import car repair and customer service that can be found in the industry. Coming to EUROCARE will leave you with raised expectations of what an import car repair shop should be.